Apple’s WWDC has finally concluded. For what was expected to come with some big announcements by the Cupertino manufacturer, WWDC has not failed to disappoint. In contrast to last year’s iOS 8 release, which came with some big features on board, Apple’s mantra this year has been stability and performance improvements on its mobile operating system. And rightly so. iOS 8, despite its upgrades, saw a surprisingly decreased adoption rate and was plagued with issues from the beginning. Issues such as Wi-Fi connectivity and more affected users all around, and led to Apple releasing hasty updates. So here’s everything that Apple’s learned in one year, and seems like its on the right track. Starting from stability and core performance upgrades, with iOS 9 Apple has taken several important steps n that direction. After Google also took a similar approach with Android M earlier, Apple’s also decided to pay some serious attention towards core operating system performance. Siri’s gotten an all new look with iOS 9 and now we’ll be getting to see a much more aesthetically pleasing view of Siri. But that’s not all that Siri get. 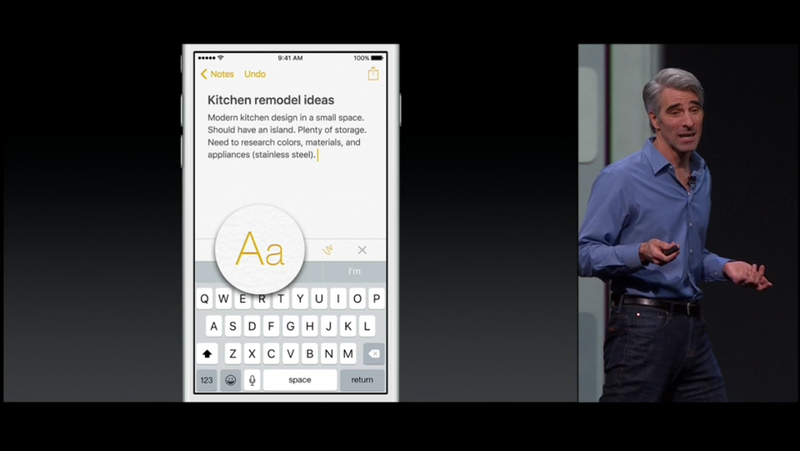 Apple’s virtual assistant also sees a much needed features upgrade. Not only will it be coming with an all new look, but Siri will now be performing its tasks proactively. It’ll be taking reminders in whatever form you input them, like, for example, ‘Siri, remind me to balance a glass on my head’ will result in the assistant reminding you to exactly do that. Search’s also gotten some very impressive upgrades. While the feature has been known to not exactly deliver the best performance in iOS 8, with iOS 9 you’ll be getting a massively updated search option. Pro-activity on iOS will be able to gauge your usage and provide you with performance catered exactly according to your need. As Craig Federighi explained, if you work out in the morning and use music, your iPhone will automatically start to play music just as you plug in your headphones. Not only that, but features such as scanning your email for contact numbers in case you receive a call from someone who’s not in your contact list, adds another great feature to iOS 9. Search in Apple’s latest operating system will be directly deep linked into apps. So, for example, if you’re making searches that relate to data available inside apps, you’ll see options that will help you access those apps directly through search. With a back button on top of course. There’s also going to be an all new scrubber for the Photos app, that’ll show all of you’re photos right at the bottom, for easy access. 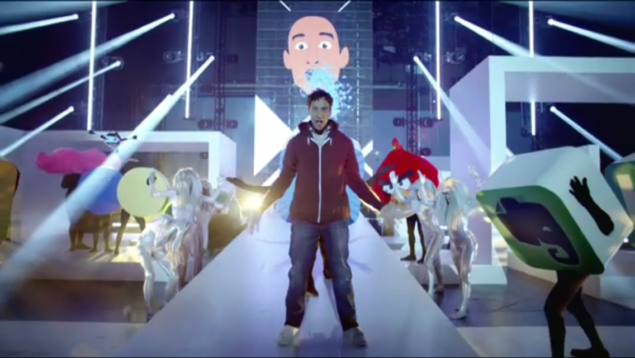 Oh, and Siri will also be able to perform tasks such as ‘Show me all the Photos from last year’s New Year dance rave’. iOS 9 for iPhone, iPad and the rest seems to be a great step towards improved user experience from devices and Apple’s features. 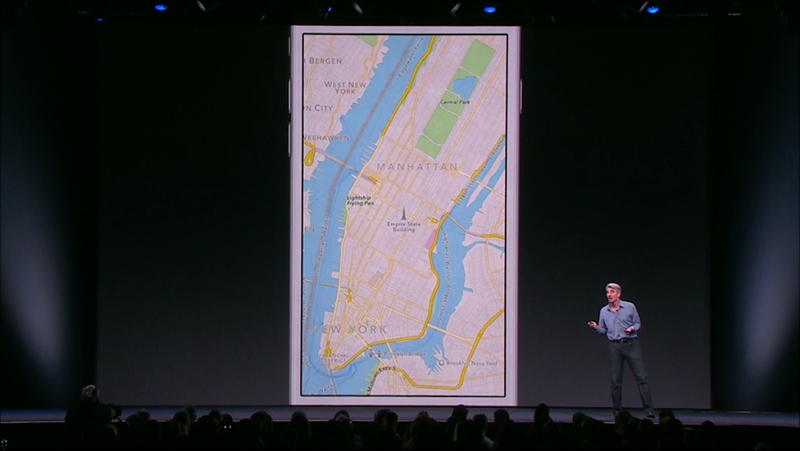 Maps also gets an all new Transit, that’ll make your public commuting journeys a lot less of a hassle. Not only will Maps also be coming to China, but through Transit in maps you’ll be able to see all the underground subway networks, bus routes or train. Just tap on a station in maps, and you’ll see all the routes that go through it, with Maps also providing you walking distance, time and directions if you’re on foot. We’ll also be getting an all new News app that’ll collect content from sources all around the world and give you interactive content. It’ll create content personalized for you and will keep track of your favorites, that include sources and content that you’ve been looking at and searching for. An all new gallery in news will display everything you’ll like in a interactive manner. And finally. We get much needed multitasking on the iPad, which brings a host of important features to Apple’s tablets. An all new Quicktype greatly extends keyboard support for the iPad and now allows the capabilities of a trackpad to your iPad for easy selection and enables shortcuts for app searching. 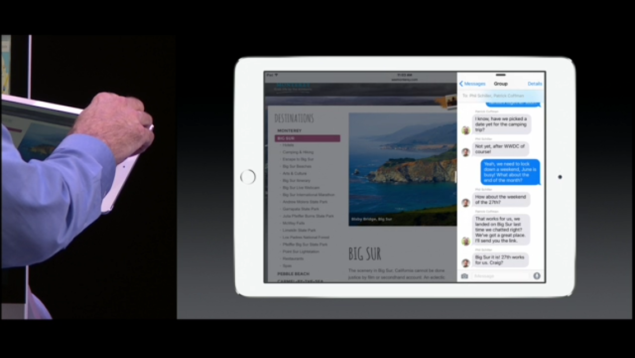 Multitasking for the iPad will be divided into two features. The first, Slideover, allows for apps such as Notes, Calendar and more to be displayed in a sidebar on your iPad’s screen. This will allow you to quickly address any notifications that pop up without the need to switch apps. Split View finally brings multi app windows on the Pad, and now you’ll be able to open apps side by side in Apple’s tablet that will allow for simultaneous working across multiple apps. 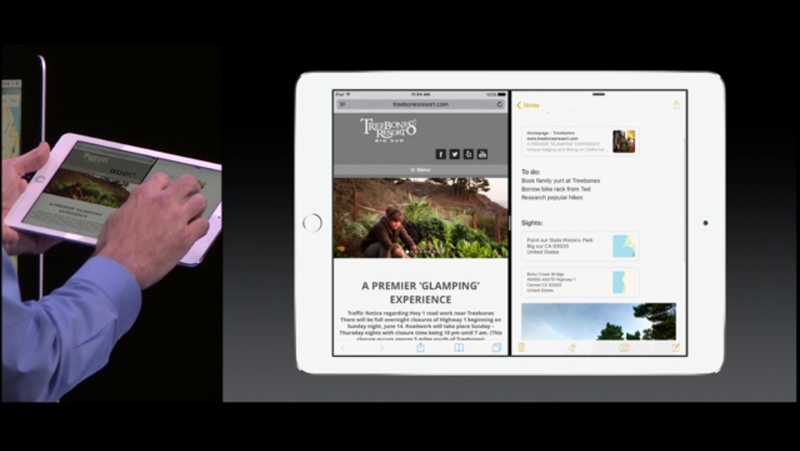 Split View will be available for the iPad Air 2 and will include complete support for finger gestures. Apple’s also finally paid heed to user complaints of iOS 9 being too large for downloads. iOS 9 will be a mere 1.8 GB in file size, as compared to the behemoth 4.6 GB iOS 8. It’ll also include an all new low power mode that will end up giving you up to an additional three hours of battery life. 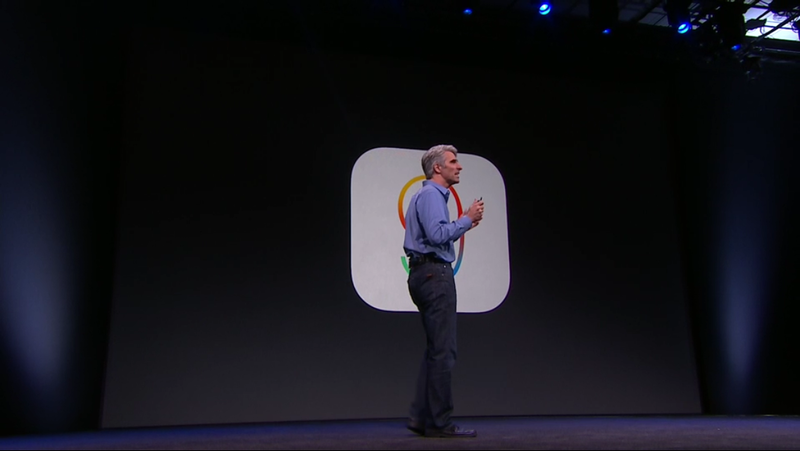 To add that proverbial cherry on top, iOS 9 will be compatible with all devices supporting iOS 8. So most of you won’t be able to miss any of Apple’s new features. This, coupled with a public beta coming in July will give users plenty of options to play around as well. That just about covers our iOS 9 coverage for today. Apple’s pulled a couple of neat tricks this time around and looks like the iOS experience for users is going to get much better this time around. So stay tuned for the latest and let us know what you think in the comments section below.